The Osprey Hotel is a hub of activity just outside of Naas, Kildare. The extensive grounds are home to a unique hotel, bar and restaurant, a luxurious spa, leisure centre and conference centre. The hotel also caters for weddings and events as well as corporate and family packages. Safe to say that a lot happens within this one space! Over the last few years however, an array of disparate identities and communication have originated from the hotel and its sub-brands. It was clear that the hotel brand has become diluted and weakened. Here in lay the design challenge. 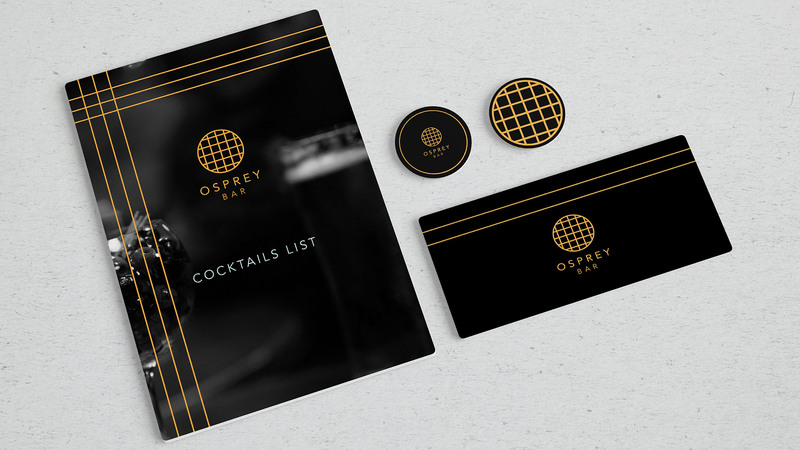 Osprey Hotel required an identity that would be robust enough to live as a stand alone brand but also flexible enough to align the varying sub-brands within the hotel. The identity needed to be sleek and modern in order to reflect the 4 star status of the hotel, ahead of anticipated refurbishments. Our design process began by examining the distinctively unique architecture of the building. We identified many different angles and shapes that were characteristic of each facet of the Osprey Hotel. The logo has been specially crafted to reflect the inherent qualities of the Osprey Hotel Brand which was also reflected in the copy we created “We are not regular in size, shape or character.” In order to encapsulate the idea that so many things happen in this one location we decided to place these different lines within a shape that represents the Osprey, a circle. This balanced shape is offset by dynamic lines. 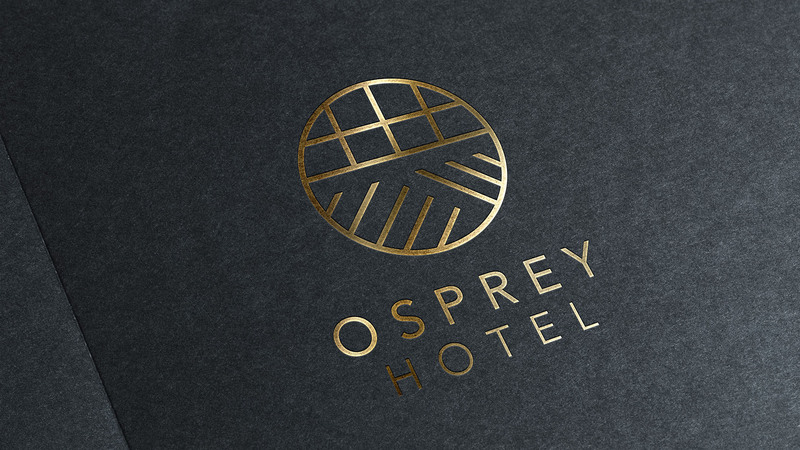 The Osprey Hotel logo is created from a combination of elements from each of the sub-brand logos. The minimal clean lines of the identity suggest confidence, clarity and direction, also creating a 4 star aesthetic for the brand. The colour palette plays an integral part in the identity. It was inspired by the existing decor of the hotel and aims to retain a sense of legacy to the previous brand identity. The purple, navy and green hues complement their surroundings, while also providing a mode of identification for each of the sub-brands. 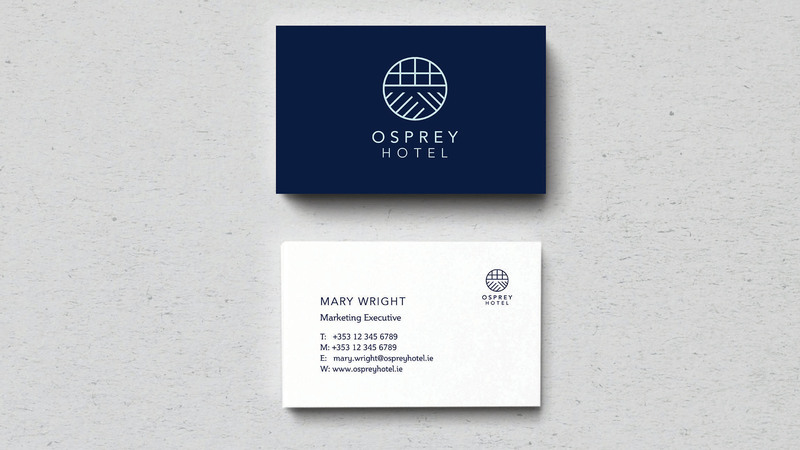 Overall this identity is modern and fresh and it successfully aligns the varying aspects of the Osprey Hotel brand. The identity is essentially a flexible framework which the hotel can expand upon over the years if they so desire. The possibilities for this identity are endless.